Block Filler is a heavy bodied water-based acrylic filler for filling open or porous concrete block or masonry units (CMU). This versatile product can be used under a variety of conventional topcoats including, #2000, #2200, latex and alkyd finishes. 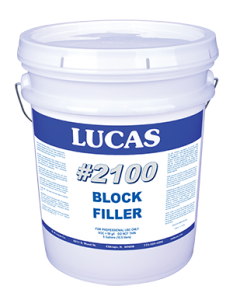 #2100 Block Filler features excellent uniformity, quick dry time and low odor.